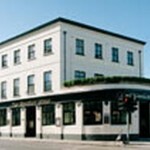 If you're looking for pubs or bars in South East London then you've come to the right place. We've got listings for every pub in the area, and with more and more becoming fully registered members every day there's more and more that you can find out about what's going on and who's who. Perhaps you're looking for a pub that shows all your favourite sport on tv or somewhere to watch live music. 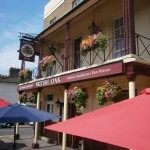 Whatever you're looking for UseYourLocal is a great place to start your search for great pubs. 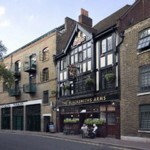 Blacksmiths Arms in Southwark has a beer garden. The pub has a car park, it is a family friendly pub. Blacksmiths Arms serves food. The pub has an outside area, it serves real ale. Blacksmiths Arms has free WiFi. The pub is a member of Cask Marque. 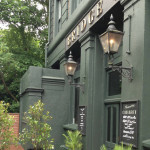 Recently refurbished, we are a traditional London pub, with a great atmosphere offering delicious home cooked food daily. 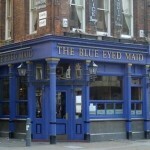 Blue Eyed Maid in Southwark shows football on TV. The pub has Sky Sports, it has terrestrial TV. Blythe Hill Tavern in Lewisham has a beer garden. The pub has an outside area, it has a smoking area. Blythe Hill Tavern has a dart board. The pub shows football on TV, it has Sky Sports. Blythe Hill Tavern has terrestrial TV. Boho Bar in Southwark has a function room that can be booked. The pub has DJ's, it has karaoke. Boho Bar has a big screen. The pub shows football on TV, it has Sky Sports. Boho Bar has terrestrial TV. Breffni Arms in Southwark has a pool table. The pub has a big screen, it shows football on TV. Breffni Arms has Sky Sports. The pub has terrestrial TV. Bricklayers Arms in Lewisham shows football on TV. The pub has terrestrial TV. Bricklayers Arms in Lambeth has an outside area. The pub has a smoking area, it has free WiFi. Bricklayers Arms has a dart board. The pub shows football on TV, it has Sky Sports. Bricklayers Arms has terrestrial TV. Nestled between Penge & Crystal Palace, we are perfectly located outside of one of london's best parks. 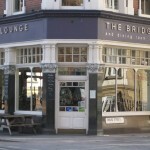 Located at the heart of London Bridge, this charming neighbourhood bar & restaurant is a space to dine, drink and relax. We are proud to offer a wide range of real ales, craft keg and bottled ale, lager and ciders changing on a regular basis! We also have the full, award winning Pieminister menu! British Queen in Southwark has a beer garden. The pub has an outside area, it has a dart board. British Queen has DJ's. The pub has karaoke, it has live music events. British Queen has a pool table. The pub has a big screen, it shows football on TV. British Queen has Sky Sports. The pub has terrestrial TV. Brockley Barge in Lewisham has disabled facilities. The pub is a family friendly pub, it serves food. Brockley Barge serves real ale. The pub has free WiFi, it is a member of Cask Marque. Brockley Jack in Brockley has a beer garden. The pub serves food, it serves real ale. 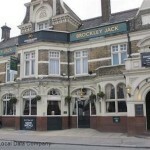 Brockley Jack has free WiFi. The pub is a member of Cask Marque.